It’s that time of year again—spring bursts forth out of the soil, filling gardens with new life, beauty, and deliciousness. Along with all these delights, a menacing presence also takes residence in our yards: the springtime pests. The uninvited visitors that threaten gardens range from relatively harmless nuisances that make flowers look unsightly to those that prevent us from enjoying the fruits of our labors. The tunneling pests, such as moles, voles, pocket gophers, rats and mice, can spread diseases. Rabbits and hares can be charming—unlike the damage they can do by devouring vegetables and plants. Squirrels have been known to feast on berries, seeds, and flowers. Deer can quickly devastate your garden. Adults can eat up to 10 pounds of vegetation a day. Bears will visit back yards very rarely, but in the more remote areas in gardens with exposed trash, they might welcome themselves to your leftovers. 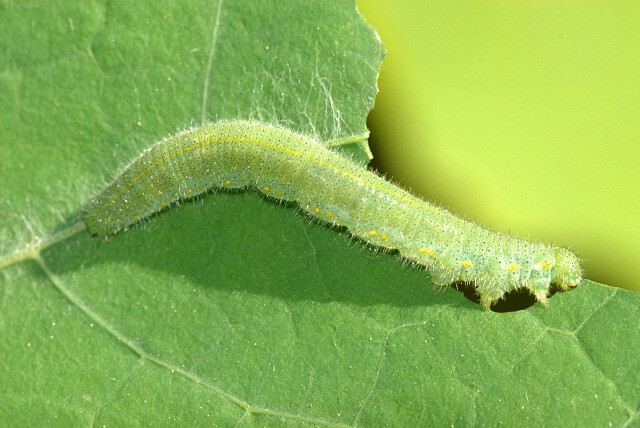 How do you manage garden pests? Recruit natural predators. Assassin bugs and pest-eating birds are at your beck and call—all you have to do is attract them. Once you know what pests you are dealing with, you can seed the plants that attract the insects that like to feast on pests, and not your garden. Cilantro, yarrow, wild buckwheat, white sweet clover, sweet fennel, sweet alyssum, spearmint, Queen Anne’s lace, flowering buckwheat, crimson clover, cowpeas, common knotweed, caraway, and black locust all woo the foes of pests. Need help distinguishing the good bugs from the bad ones? Consult the pocket guide published by Oregon State University Extension Service and Oregon Tilth. A more extensive guide from Washington State University will help you entice the natural guardians of your garden into staying. Set traps. Pheromone traps and sticky tapes can be effective with insects. With bigger creatures, try barrier solutions. A perimeter fence will keep the deer out and a chicken wire with one-inch or smaller mesh can turn away rabbits and birds. Copper barriers can keep snails off stems and veggie seedlings. Bird netting will protect your blueberry bushes. Plant pest-resistant plants such as lavender, thyme, and sedums. For most thoroughgoing solutions, consult a pest-control specialist. With The Bug Man, we use eco-friendly, innovative pest control methods that keep you safe and healthy. For assistance taking care of your springtime pests, schedule an appointment with The Bug Man!